If you need dental implants to replace missing, diseased, or damaged teeth, your jawbone must be tall and wide enough to hold the posts that support implant fixtures. Bone loss from periodontal disease, injury, congenital defects, or from long-ago dental extractions can narrow the upper or lower jaw in a process known as lateral atrophy. This process affects the tooth-supporting bone known as the alveolar ridge, which surrounds tooth roots. Loss of bone at the side of the jaw creates a dent that looks unnatural and interferes with the placement of bridgework or implants. Atrophy occurs as a result of resorption, in which bony tissue breaks down and the body sends its cellular resources elsewhere. Bone atrophy causes aesthetic as well as functional problems. It can change the shape of the face, making the patient look prematurely old. To correct these problems, a periodontist adds mass to the jawbone with a bone graft. 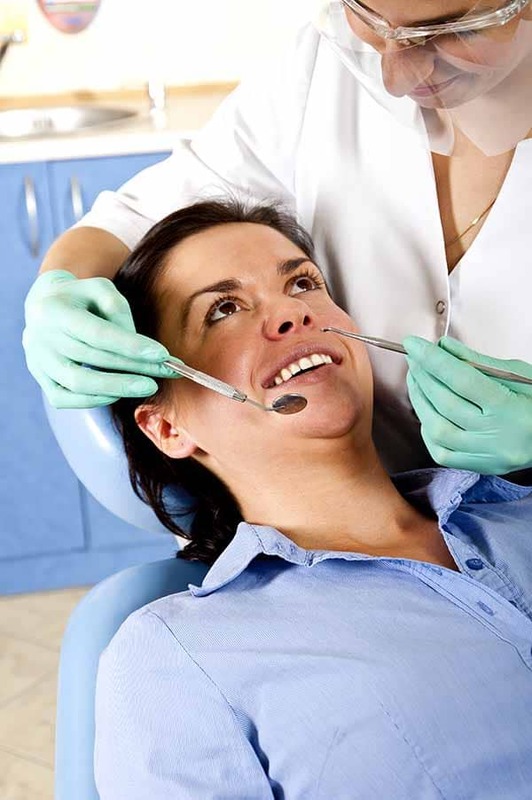 Ridge modification surgery begins with an incision in the gum tissue, revealing the jawbone at the area of the defect. The periodontist fills in the area with a graft made from the patient’s own bone, freeze-dried human bone from a tissue bank, sterilized material from a cow or another animal species, or a synthetic substitute made from sterile minerals. Some ridge modification procedures include the placement of dental implants at the same time as bone grafts. Self grafts use the patient’s own bone to promote healing with reduced chances for rejection, infection, contamination, or failure. Because the graft consists of the patient’s live bony tissue, the material helps promote bone growth. This form of grafting procedure requires two surgical sites: one to harvest the material for the graft, and the other to place the graft in the jaw. Small dental grafts may come from the patient’s chin or the side of the jaw nearest the cheek. When bone loss affects a larger area of the jaw, the graft may come from the chin, hip, shin, or skull. One version of ridge expansion involves splitting the bone to create a channel into which the graft material fits. This technique can help replace lost bone in large areas of the jaw. Another technique uses a process called guided tissue regeneration, which works well on relatively small graft sites. The periodontist drills small holes into the side of the jawbone and inserts tiny screws. The holes promote blood circulation. The screws, commonly nicknamed scaffolding or tent poles, provide a structure that supports granulated bone-graft material. After applying the graft, the periodontist covers the grafted area with a protective membrane made from collagen. Regardless of the type of ridge modification surgery, the periodontist uses sutures to close the gum tissue and protect the graft while the area heals. Over the course of four to 12 months, graft material disappears as the patient’s own bone grows in to replace it. After the area finishes healing, the periodontist can remove any graft-procedure hardware and insert the fixtures necessary to support dental implants. In some cases, ridge modification becomes ridge preservation. This form of the procedure accompanies the extraction of a tooth and helps offset the natural loss of bone tissue that occurs when the jaw no longer receives stimulation from the presence of dental roots. Post-extraction bone loss proceeds rapidly at first, and then slows down. The speed of bone loss varies based on the patient’s oral health and genetics. Adding a bone graft at the time of a dental extraction makes it easier to add implants later on, preserving jawbone mass and minimizing the need for later grafting procedures. We encourage you to contact us with any questions you may have. Please use the form below or call our Greenwood office at 317-887-3180 or our Plainfield office at (317) 839-9801. We'd love to hear from you! How can we help? Whether you are visiting our office in Greenwood or Plainfield, your healthy smile is our top priority. Our entire team is dedicated to providing you with the personalized, gentle care that you deserve. 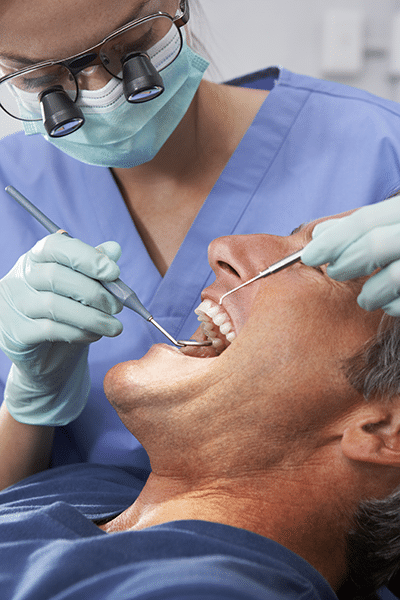 We’ll go above and beyond when fighting your gum disease or replacing your missing teeth with dental implants. We go out of our way to make sure you feel comfortable; offering the highest level of care in a warm and relaxed atmosphere.